DIAMOND D777 HIGH GAIN AIRBAND AERIAL CIVIL AND MILTARY FREQUENCIES. 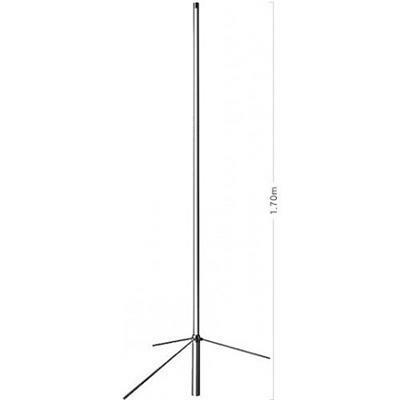 Improve your Airband reception with this high gain vertical. Typical aircraft range using this aerial 300 miles at 30,000 feet. A genuine quality made fibreglass airband aerial made by Diamond.